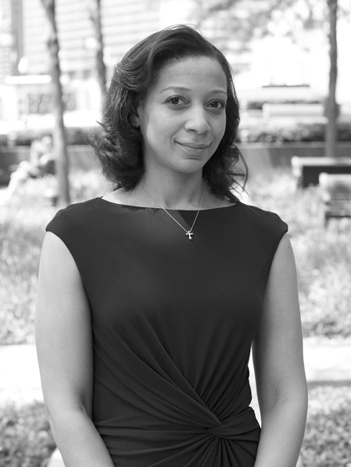 Jennifer A. Richeson is a social psychologist whose work explores the psychological dynamics of race, class, and gender in social interactions. She is the Philip R. Allen Professor of Psychology at Yale University and a fellow of the Institute for Policy Research at Northwestern University. She previously held the John D. and Catherine T. MacArthur Foundation Chair at Northwestern, served as an assistant professor in the Department of Psychological and Brain Sciences at Dartmouth College, and was a visiting fellow at Stanford University. Dr. Richeson grew up in Baltimore, Maryland. She credits her own early experiences in a predominantly white private elementary school, a majority-black public middle school, and an all-girls high school with awakening questions about race and gender that became the focus of her career. She earned a bachelor of science degree in psychology from Brown University (1994) and a master’s degree (1997) and Ph.D. (2000) in social psychology from Harvard University. In her research, she uses an array of tools and methodologies from psychology and neuroscience to study the impacts of race, gender, socioeconomic status, or other social classifications on members of both majority and minority groups. Her studies have revealed the effects of prejudice and stereotyping on brain processes and behavior in interactions between members of different sociocultural groups. One aim of her work is to use scientific insights into the bases and impacts of bigotry to contribute to better public policy for diverse social environments. Dr. Richeson is a member of the National Academy of Sciences, the Association for Psychological Science, the American Psychological Association, the Society for Experimental Social Psychology, and the Society for Personality and Social Psychology. Her groundbreaking contributions to her field have been recognized with numerous honors and awards—among them, the Distinguished Scientific Award for Early Career Contributions to Psychology of the American Psychological Association (APA), a John Simon Guggenheim Memorial Foundation Fellowship, and a “Genius” Fellowship from the John D. and Catherine T. MacArthur Foundation.